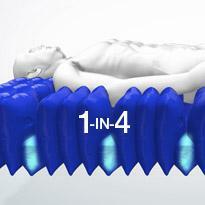 The mattress can support a patient weight of 370kg. 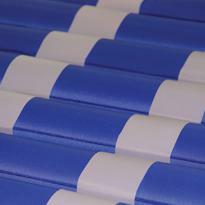 The extra durable air cells are constructed from reinforced PU coated nylon for added strength and durability. The active 1-in-4 cell cycle supports 75% of the patient's body at all times, on groups of three inflated cells, whilst the fourth cell deflates sufficiently to redistribute the pressure and encourage tissue reperfusion. Additional benefits include enhanced patient comfort, less awareness of support surface movement and a reduction of stimulus-related complications such as muscle spasm. 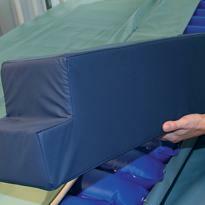 Ideal for use with width-retractable beds to allow easy movement of complete bed system with patient in-situ. Cell design provides optimal comfort and support for varying body shapes and sizes. 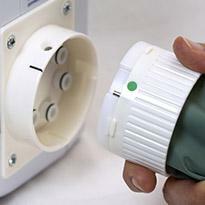 All QUATTRO products are designed to be intuitive. 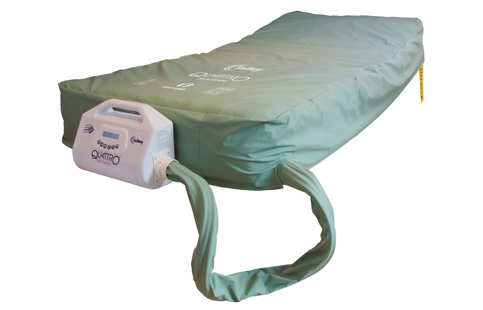 The simply designed interface and easy-touch buttons allow the carer to control all essential functions such as the Dual therapy modes providing either Active therapy or Continuous low pressure, Soft, Medium or Firm comfort settings as well as Max-Inflate mode. 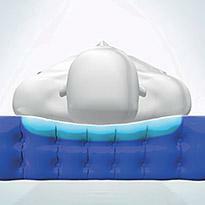 The waterproof, moisture-vapour permeable properties of the multi-stretch cover, combined with a low-air-loss feature within the mattress, helps manage the skin 'microclimate' between the patient and support surface. 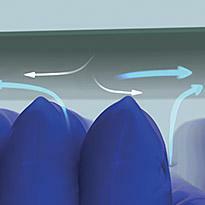 The Patient Transport Facility turns the mattress into a static unpowered support surface for up to 12 hours.The Patient Transport Facility turns the mattress into a static unpowered support surface for up to 12 hours. Suitable for the prevention and treatment of pressure ulcers within all care environments, and is specifically designed for the care of bariatric patients. 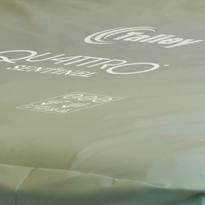 The QUATTRO Sentinel mattress is able to deliver safe, effective pressure area care for the prevention and management of pressure related tissue damage in high risk bariatric patients. 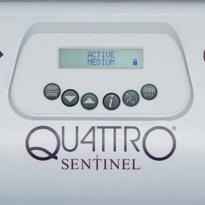 100% of staff reported that the QUATTRO Sentinel mattress was effective / very effective at redistributing pressure and maintaining patients’ skin integrity and was easy/ very easy to use.